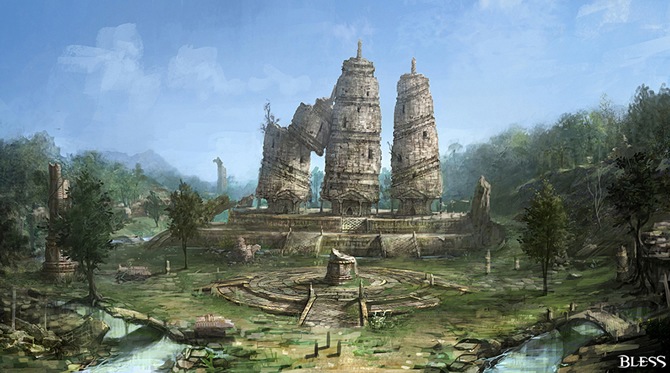 Although Bless has beautiful graphics, developers think that the visual aspects of the game are something of importance only when paired with the background story of the Bless world. For the creation of a completely immersive world, there were even instances where developers gave up on more beautiful or more impressive visuals for the sake of believability. For the visual completion of the game developers did lots of background research and even conducted field surveys in order to study specific architectural styles! Most of you who have been following Bless for a long time are probably most familiar with Spezia and Hieracon. The design of Spezia, the city of water, was inspired by Italy’s Venice, while Hieracon was based on French gothic architecture. 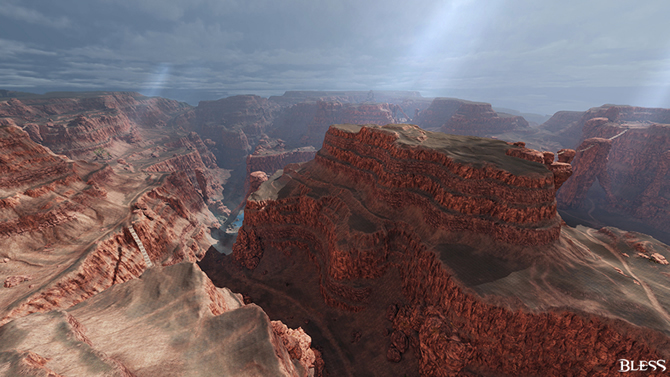 Wyvern Valley (located in the middle of the Bless continent), a place where Wyverns should be able to travel freely while gliding around, was an area designed with the Grand Canyon in mind. Bless Online is a game that focuses on the often hidden, deep details of the world. Because of that, I believe that Bless is a more complex and interesting world, and players will be able to have a more immersive experience in it. Hopefully you have fun!